Posted August 19th, 2018 by Mike Boyes & filed under Abnormal Psychology, Child Development, Chronic Illness, Clinical Assessment, Clinical Neuropsychology, Consciousness, Cultural Variation, Early Social and Emotional development, Health Psychology, Indigenous Psychology, Intervention: Adults-Couples, Intervention: Identifying Key Elements of Change, Motivation-Emotion, Neuroscience, Physiology, Stress Biopsychosocial Factors Illness, Stress Coping - Health, Stress: Coping Reducing, Substance-Related Disorders, The Self. Description: There is an opioid overdose epidemic in North America. In 2017, 4,000 people in Canada and 72,000 people in the United States died of opioid overdoses. I don’t know what you have been hearing or reading about what is behind these astonishing and terrifying numbers, but there is a lot to consider and a lot to re-evaluate. Some of it is related to the broad availability of incredibly powerful opioid drugs such as fentanyl and thinking about that leads us into thinking about the addictive qualities of such drugs and the genetics and socio-cultural factors that are involved in addiction. All of that consideration and research is important. However, the enormity of the challenge the above numbers presents to us also suggests that perhaps we need to broaden our focus and think about moving away from the simplistic notions that drugs are evil and addictive and that some sort of war on drugs with its related issues such as mandatory sentence minimums for drug offenses. But if so, where should we move to and what should we consider? Well, how about to Portugal and the social determinants of health (and addiction)? The physician who wrote the book, from which the article linked below is an excerpt, tells us that in his work with addicts in Vancouver’s downtown east-side (google it if you have not heard of it) he observed that all of his female addicted patients were sexually abused as children and that in one way or another addictions involve histories of trauma, severe hurt, sorrow, helplessness, and alienation. Read through the article linked below for a look at what else we might want to consider as we try to come to terms with opioid addiction and the huge, and rapidly increasing death rates associated with them. Oh, and what about Portugal? Well, in Portugal they decriminalized all drugs (not just marihuana) and over 10 years their rates of addiction and drug related overdose deaths dropped dramatically and bottomed out at a very low level. 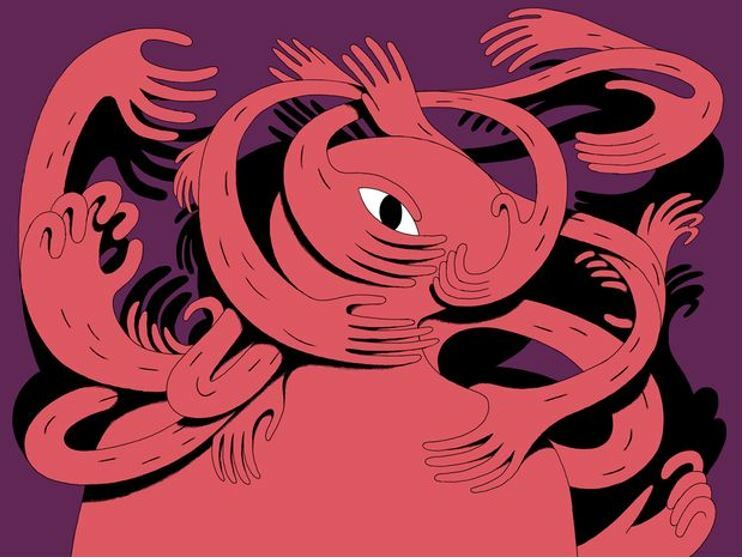 Source: Don’t ostracize drug users – empathize with them, Gabor Mate, The Globe and Mail. In the article linked above, Gabor Mate suggests that we need to broaden how we look at addiction and specifically that we need to look at the developmental histories of trauma and the trails of unmet mental, emotional, and spiritual needs associated with addictions if we want to understand them and see what solutions might look like from this broader perspective. Oh and if you think that what this really means is that this broader perspective is needed because human beings are socially more complex than the mice and rats that much of the foundational physiological research in opioid addiction is based then go have a link and a fascinating short graphic novel describing some of that research with rats called Rat Park (Stuart McMillen). It is very important to keep in mind that what is being called for here is a broader perspective and not really a new perspective. The physiological aspects of human addiction are vitally important to consider but then so are the physiological consequences of early or ongoing trauma and related noxious life circumstances. Basically, there IS more that we need to consider as we move to try and address the scary opioid related death rates and the related array of social policies, laws and intervention strategies we have in place, are reviewing, or are developing. Why do people become addicted to opioid drugs like fentanyl? What are the social determinants of heath (or addiction)? What sorts of research should we consider doing to look more closely at the issues raised by Mate’s article? What sorts of social policies, practices, and assumptions might we need to re-visit and perhaps reconsider as this line of research and thinking moves forward?